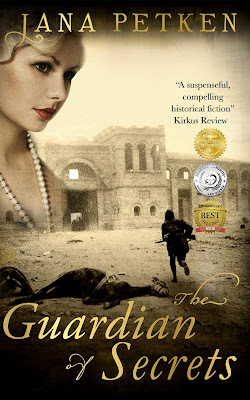 The Multi Award Winning Bestseller, The Guardian of Secrets. Celia’s two sons march under opposing banners, whilst her twin daughters take different paths; one to the Catholic Church and the other to the battlefields. And in the shadow of war, a sinister villain from the past resurfaces. "Three generations struggle in this suspenseful and compelling saga, which begins in 1912, Kent, England, and ends during the 1936-39 Spanish Civil War." Petken masterfully moves the gripping action along by creating credible characters and suspenseful plot twists. Writing in a straightforward manner and infusing scenes with details that inform but don't overwhelm, she portrays each of the characters' efforts to survive while coming to terms both with the horrors of wartime and personal bouts with excessive pride and passion. Though the action is grounded in a particular time and place, the novel's concerns are universal, as typified when Celia's daughter ruminates on whether Spain would eventually "look back and feel proud of a war that had killed hundreds of thousands...or would it feel as she did now, betrayed by men with selfish political ambitions and lust for power." Despite its length, the captivating story succeeds brilliantly and becomes an unforgettable page-turner.